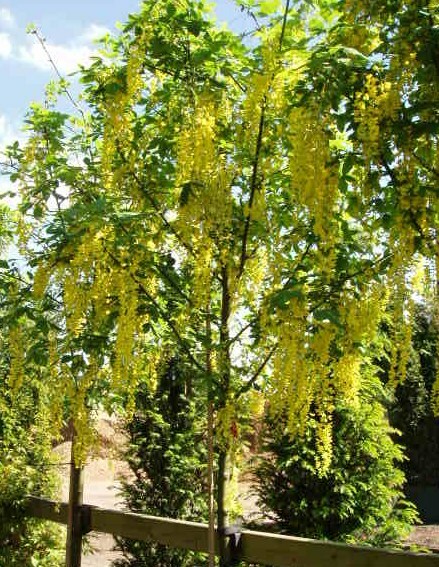 This Common Laburnum is often multi-stemmed. Its young twigs are remarkably green, whilst older branches and smooth trunk turn brownish-green. The dark green leaf is triple with a blue-green underside. Laburnum anagyroides has profuse non-scented flowers that are in golden-yellow pendulous bunches. The seedpods, leaves and young twigs carry soft hairs.